Other than your degrees, an application letter is equally essential for you to get the job you want. However, writing one can be difficult, especially if you have never written an application letter before. But worry not, we are here to help you. When you apply for a job, you are often asked to send an application letter with your resume. A resume details your past work experience, your accomplishments, and your skills. Unlike a resume, an application letter, or a cover letter, details the reason why you have qualified the position and why the company should be interested in inviting you for an interview. When you write a job application letter, you need to present information that will increase your likelihood of being picked for the interview. You may be tempted to put in all the information in the letter, but you should also understand that space is limited. Your potential employer has even less time to spend reading your job application letter. The first thing you need to do is to find out what the employer wants, and then customize your application accordingly. You can find out what they want by looking at their job advertisements. When you know what they want, you can include relevant information according to those needs. For instance, if the job requires leadership skills, mention the times when you have led a team and achieved success as a leader. Font: Times New Roman, Arial, Calibri, or other traditional fonts. The font size can range from 10 to 12 points. Format: Single-spaced, a space between each paragraph. 1-inch margins and align the text to the left. When you write an application letter, you need to remember the rules to each section of it. The rule for each section is different from another. Heading: For this part, you should start with the contact information of both you and your employer such as name, address, phone number, and email). Next, put on the date. 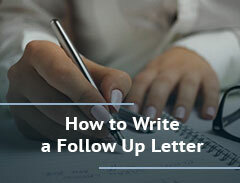 Do note, however, that if it is an email instead of a letter, then you should write your contact information at the end of the letter, after your signature. Salutation: Here, you put in your greeting. Needless to say that you should be as polite as possible. If you do not know what salutation to use, then “Dear Mr.” or “Ms.” Followed by the person’s last name is good enough. However, if you are unsure of the reader’s gender, then you can state their full name and avoid the personal title altogether. Body: Things are much more complicated here since this is where you will include all of the necessary information. Think of this as the main course of the application letter. To explain this part better, we will divide this into three parts. First paragraph: Mention the position you are applying for as well as where you saw the job listing. The following paragraph(s): Here, you will include all the relevant information. We mentioned about doing your research about what your employer is looking for. This is where such knowledge comes in handy. You will need to explain how your skills are exactly what your employer is looking for. The final part: This is where you will put the “Thank you” to the employer. Then add your name. Here, you can also include follow-up information. Complimentary close: Here, you sign off your email with a polite close. Using “Best” or “Sincerely” before your name is good enough. Signature: If you are writing a letter, then end it with your handwritten signature. Then put your typed name. If you are writing this in an email, put in your typed name followed by your contact information. Tired of Formatting Rules? Use Templates! It is entirely understandable that all of the rules about formatting are overwhelming, if not unnecessary. For that reason, there are numerous templates out there for your job application letter. In fact, you can find one in your Microsoft Office application on your PC. You can save a lot of time writing your application letter if you use an existing template. All you need is to put in the information without worrying about whether or not your format is correct in the first place. Your employer can tell at a glance whether you will be a good employee based on how you write your application letter. Grammar mistakes or typographical errors in your application is a sign of negligence. We should stress that the information of the company and the employer (such as their name) need to be correct. If you get them wrong, then your employer will see it as a red flag. You don't want them to see you as a negligent individual. So, make sure you get them right. Plus, if the job requires creativity (marketing, for example), then you can try to demonstrate how creative you can be under strict guidelines. However, do take into consideration the position and the company you are applying to before you attempt to stray from the guideline. Be direct: First impression is everything. Your first paragraph should be short and to-the-point. We already mentioned that your application letter should not be longer than a page. Therefore, you need to put in as many relevant information as possible. You need to make that the information in a single page counts. Beating around the bush is not going to land you that job. Start off by explaining why you are writing the application letter. Tell them about the job title and company name. Plus, mention how you found the job listing. If you want to, you can mention why you are the best candidate for the position. However, you need to be brief. The application letter complements the resume: You are often required to send an application letter with a resume. Your employer doesn’t want to read the same paper twice, so you can try to make your application letter to be an extension of your resume. While you can just make your application letter a duplicate of the resume, you will have a higher chance of being interviewed if you do otherwise. In your application letter, you can add personal touches such as language. You can explain a tad more about your career and work experience in a more personal tone. Bullet points don't reveal much of the character. A story does. Prove yourself: Remember that you are applying for a job. 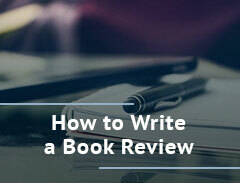 Your first step is sending your resume and cover letter to your employer to review. The second step is getting an interview with that employer. The third and final step is getting offered the job. Keep that in mind when you write your application letter. Your application letter should ensure that you get the job. Therefore, you should include details about relevant experience and background that prove why you are the best candidate for the position. Explain to them how your previous jobs gave you the experience for the position you are applying for. Explain to them how you would contribute to the company if you get hired. Make your application letter convincing. Close with the relevant details: Here, you should include a "Thank you." You can also include your contact information or inform them of how you will follow up. That way, your employer doesn't need to look through the entire paper if he or she wants to contact you.